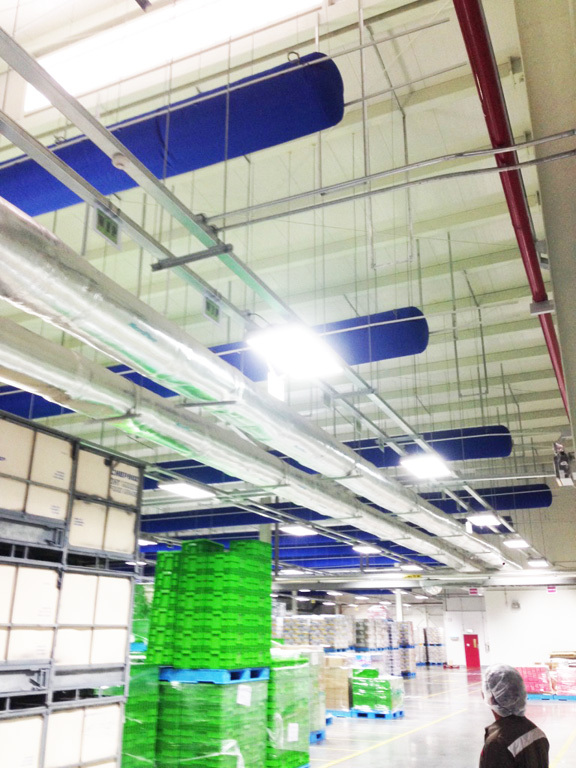 The designers of this project have required fabric air duct for this food manufacturer. NANTIER team has supported them with all necessary information to fulfil thier requirement/questions. 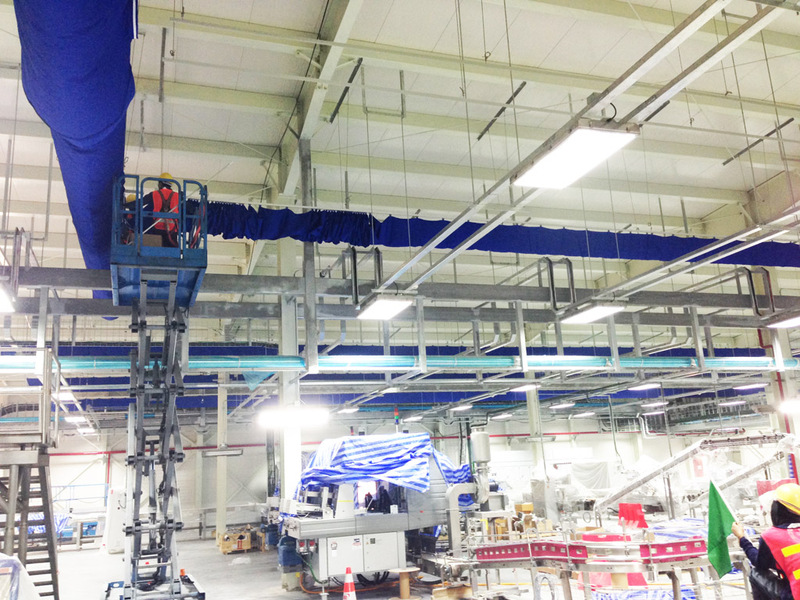 Finally, they have selected our FabricAir® for this 6,200 square meters food manufacturer project. 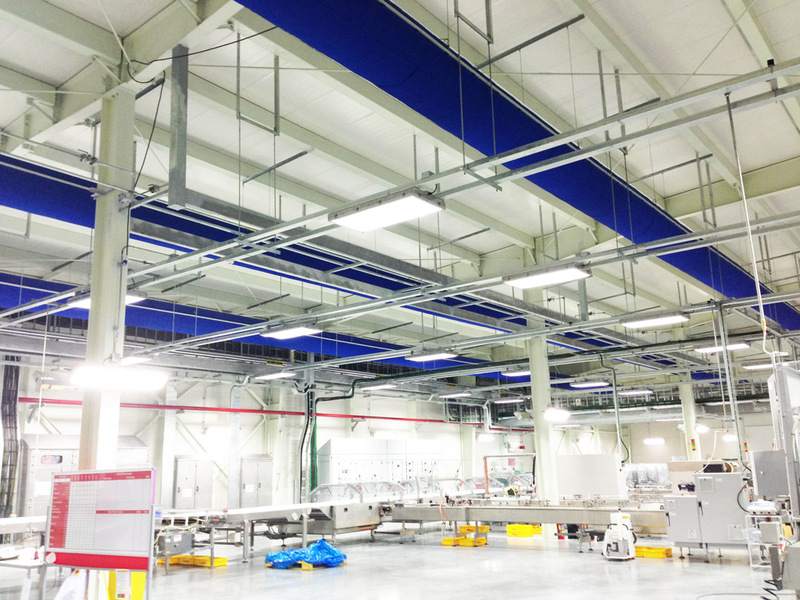 NANTIER team has offered them anti-microbial fabric with single & double H rails suspensions. 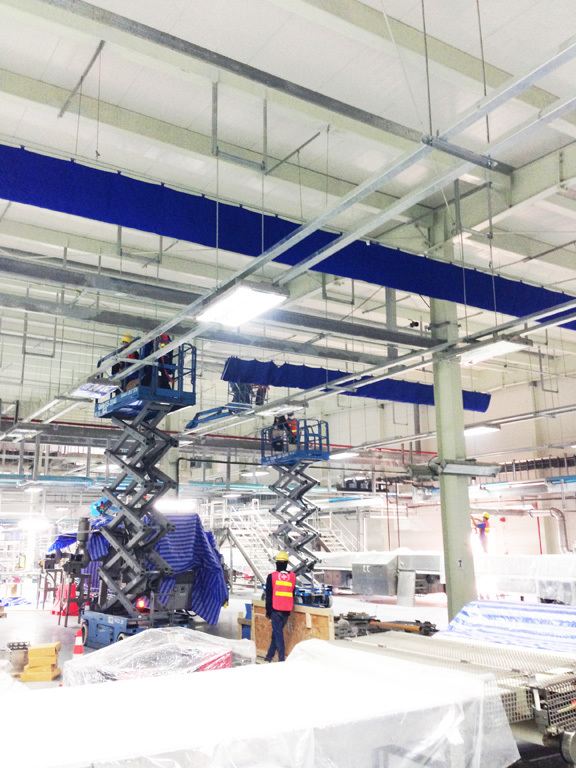 Ducts were tailored in blue Combi 80, with SonicFlow™ and FabFlow™, and suspended by Type 8 and 9 suspensions, which allows easy removal for frequently washed applications. 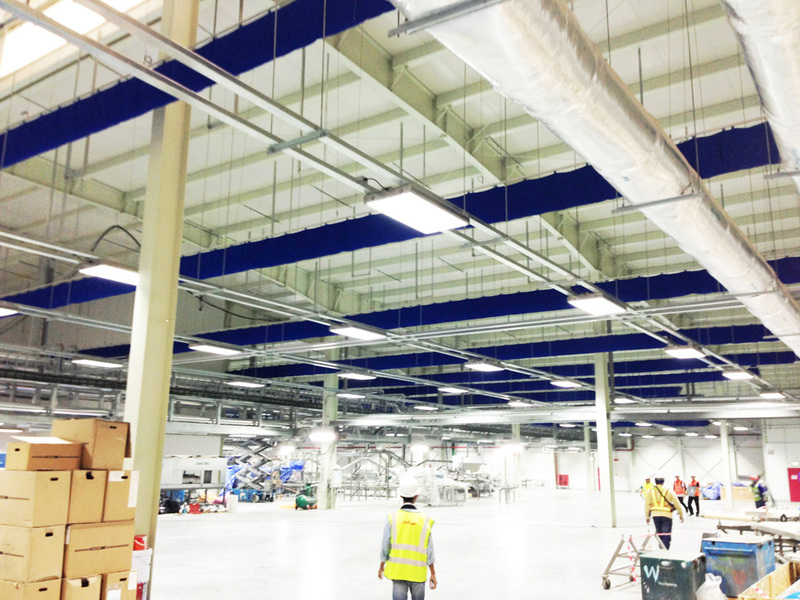 This makes it especially suited for food manufacturer environments. 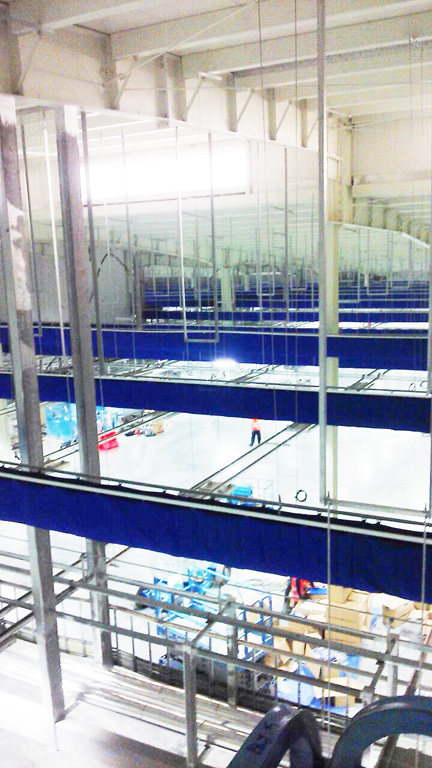 The result is quiet and cool as the supply air has been dispersion thru fabric duct to all area.